THE few Seattle Public Schools teachers refusing to administer the Measures of Academic Progress test have chosen the wrong topic and timing to make a point about teacher evaluations. Those teachers have every right to question whether MAP accurately measures student progress or fairly judges teacher performance. Many Seattle teachers view the MAP as a valuable, if imperfect, assessment tool. Schools have until Feb. 22 to administer the test; 87 schools out of 95 have already begun. The MAP boycott is puzzling, coming as the district, and presumably teachers, are hoping voters agree to raise their taxes to provide a total of $1.2 billion in levies for Seattle schools in the Feb. 12 election. Moreover, the Seattle Education Association agreed in the current teachers contract to use assessments, which could include the MAP, as one factor in evaluating teacher performance. If the union has changed its mind, a ripe opportunity to raise the issue is spring contract negotiations. All of this may be just union flexing. One union official encouraged teachers to support the boycott to show district leadership the union is united and ready to be a powerful force in the upcoming contract negotiations. Fine. But the spirit of solidarity has its limitations. Using students to advance workplace issues is dishonest. An objective measure of student and teacher performance is critical. Student portfolios and peer reviews plus student-parent surveys are among the many ways to assess teachers. All of those ideas should be examined by the new assessment task force and the district’s own review of its assessment tools. Superintendent José Banda hopes by May to have a sense of the district’s assessment needs and where MAP fits. It is worth remembering that the idea of a local test to measure Seattle students came from one of Seattle’s most beloved education figures, former Superintendent John Stanford. Stanford did not choose the MAP, but he eloquently argued for a local assessment. Teachers should work with the district in keeping one. Do you have talent? Come down and show it off! Whether its music,art,dance,poetry or song, your voice needs to be heard and Empire Nights gives you a chance to share your God-given gift. In their 16th week on the Billboard Hot 100 chart, Seattle rapper Macklemore and producer Ryan Lewis have reached the top of the prestigious chart with the single “Thrift Shop,” a triumphant achievement for the fast-rising local duo. “Thrift Shop” (featuring Wanz) also knocks Bruno Mars’ “Locked Out of Heaven” out of the No. 1 spot after six weeks. “The Heist,” the duo’s independently released album, has been on a roll since entering the Billboard 200 chart at No. 2 on the week of Oct. 27. According to a story by Gary Trust in Billboard.biz, “Thrift” is the first debut to reach No. 1 on the Hot 100 chart since Wiz Khalifa’s “Black & Yellow” in February 2011. And here’s another interesting factoid from Billboard.biz: Macklemore and Ryan are the first duo to top the Hot 100 with its first record since. Los Del Rio’s 14-week reign with “Macarena” in 1996! Are you a teen with a passion for theater? Or are you a teacher with an interest in bringing theater to your classroom? If so, Seattle is just the place to be. The Seattle Repertory Theatre is one of many that offer many education outreach programs for youths and their teachers to explore the world of theater. Most of Seattle Rep’s youth-outreach programs last the entire school year. Meals said a countless number of students participate. However, the benefits students reap from the programs are big, no matter which program. Frances Kao, another public relations manager at Seattle Rep, said students are exposed to elements in theater that they would not have known otherwise, especially in the Y-WE Speak program. The Y-WE Speak program (Young Women Empowered) offers young women age 14 to 18 from diverse backgrounds mentorship and access to creative programs aimed to empower them to acquire confidence, resilience and leadership skills. It uses theater to tackle issues such as race, gender identity and social pressure. During the season’s residency, participants play a part in eight generative workshops with Seattle Rep teaching artists to gather and co-create an original theater piece based on their life experiences. 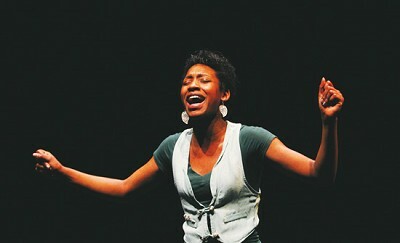 Y-WE participants will attend six Seattle Rep productions. Format: K, 1-4, 5-8, 5-round Swiss. NWSRS rated, state qualifier. Entry Fee: $14/player for Chess Mates schools; $20/player general. Add $5 late fee after 2/15/2013. Scholarships available for students qualifying for free/reduced lunch, coaches apply by e-mail. Registration: Advance registration only, no day of tournament registration. The tournament is limited to 200 players; Chess Mates schools have 100 priority spots. Each school has a limit of 16 players. 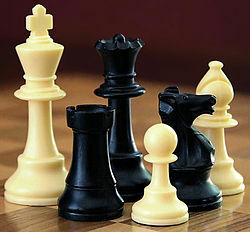 Register online at www.chessplayer.com/SignUp.php Register by mail with the 2013 Registration Form. Awards: Team (top 4), individual, and grade trophies. First Round: 10:15 a.m. Pairings are posted at 10 a.m.
Schmitz Park Elementary is located at 5000 SW Spokane. Concessions 9:30–4, offered by the Schmitz Park Chess Club. The singer announced Thursday that the Born Brave Bus Tour will tailgate outside her upcoming U.S. concerts and provide a space for 13- to 25-year-olds to learn more about local resources on anti-bullying, suicide prevention and mental health services. Her foundation focuses on youth empowerment and self-confidence. Organizations like The Trevor Project, Campus Pride and the National Association of School Psychologists will assist on the bus. Participants will not need a ticket to the show to partake. The Born Brave Bus will be open ahead of each Gaga concert for several hours. The U.S. leg of the Born This Way Ball Tour kicks off Jan. 14 in Tacoma, Wash. This event showcases the efforts of students, professional music coaches and Seattle Public School music teachers who are part of the SYSO in the Schools program. SYSO in the Schools provides free small-group lessons during the school day and out-of-school time to young musicians who have historically had inequitable access to music education. This program has resulted in a dramatic increase in the number of students in orchestral music playing at higher levels of musicianship. Students have also gained self-confidence, built their skills in self-discipline, concentration and collaboration, and have had higher levels of academic achievement and school engagement. Activities at Southwest Seattle Super String Saturday include: a mini-concert by the Youth Symphony Orchestra performing Emmanuel Charbrier’s España and Dmitri Shostakovich’s Symphony No. 5 in d minor, Op. 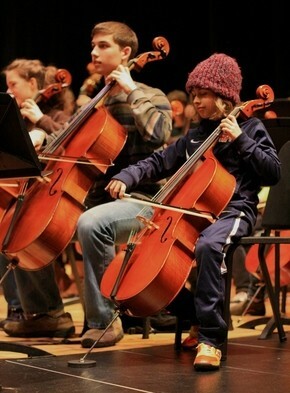 47.; violin, viola, cello and bass master classes led by Youth Symphony musicians; chamber ensemble demonstrations; parent education sessions; and information from SYSO partner the West Seattle Community Orchestras. All students attending Super String Saturday are eligible for a full or partial scholarship to SYSO’s Marrowstone-in-the City summer program. On January 26th, you’ll find this all happening 10 am-1 pm at the Chief Sealth International High School auditorium (2600 SW Thistle). It seems like now a days you hear about teenagers wanting to become rap stars. They are starting to write down how they are feeling and connecting it to a beat they have made, then sooner or later they book some studio time and are recording, putting their songs on Youtube or their Facebook pages. That’s were it all starts. Their friends on Facebook start to share their songs/raps and then all of a sudden they get a call from a studio and that studio wants them to come in and record for them. That’s how it all starts, with a goal, pen, and some paper. If you have a dream, go for it because you never know who notices what you have done or who hears what you produced. What ever that goal may be, never give up, everyone is able to succeed if they put the effort into it. 26- year old, Lady Gaga performed a great show last night at the Tacoma Dome. All of her fans were there supporting her and her music. Lady Gaga put on a fantastic performance that many will remember. Using her unique costume’s, she encouraged fans to be themselves, and not be afraid of what other people think. Last nights showing was a time where people became who they truly were, the dressed how they wanted without being judged. Overall, this performance Lady Gaga delivered will always be remembered and is one of the top concerts of the year.